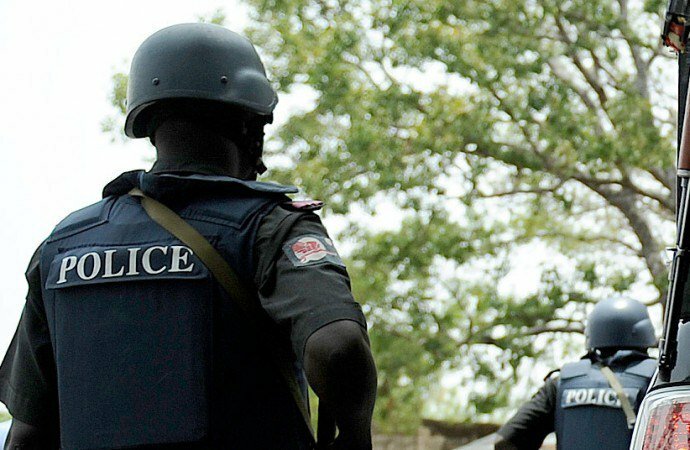 The police command in Anambra says it has arrested six suspected cultists and armed robbers after a gun battle that left one of the suspects injured at Ogidi near Onitsha. The command’s Public Relations Officer, Mr Haruna Mohammed, made the disclosure in a statement issued in Akwa on Sunday. Mohammed said one fabricated pistol, three live cartridges, an axe, tramadol drugs and some quantities of dry leaves suspected to be cannabis were recovered from them. He said “On Dec. 14, at about 4pm there was intelligence report at Ogidi Division that some suspected armed robbers/cultists were cited at Paradise Hotel, Ogidi brandishing dangerous weapons. “Following the report, police detectives attached to Ogidi division rushed to the scene and cordoned-off the area. “The gang on sighting the police locked the entrance of the hotel and engaged the police in fierce gun duel which lasted for more than thirty minutes. Meanwhile, the command has warned against the use of knock-outs, fire crackers and other forms of fireworks in the state during the Yuletide. Mohammed said such actions constituted serious security risks capable of misleading the security personnel on apparent danger of gunshots. He also expressed concern that it could instill fear in the minds of the residents of the state.